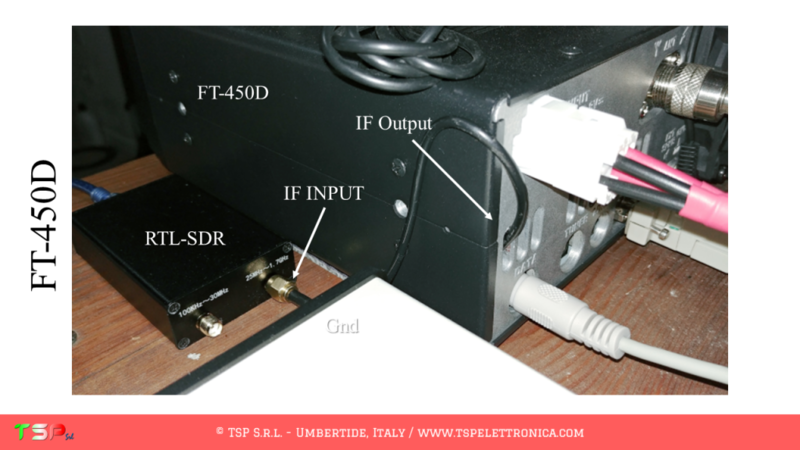 sdr console Archivi - TSP S.r.l. These are the instructions to install the IFace interface inside of the Yaesu FT-857D. 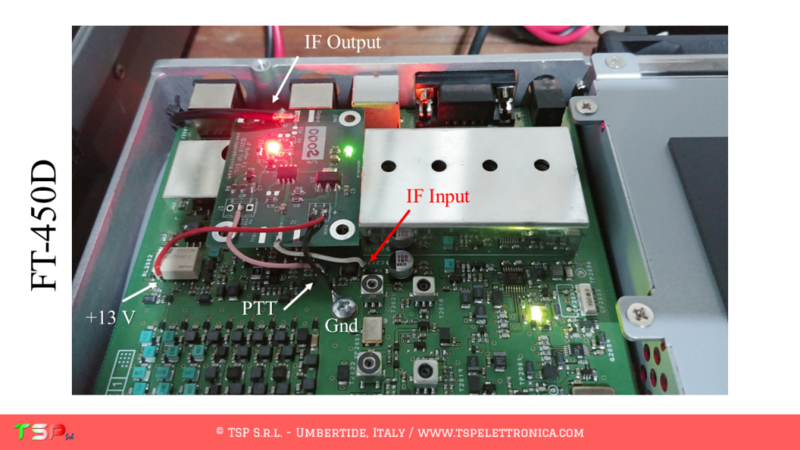 The installation is very easy. 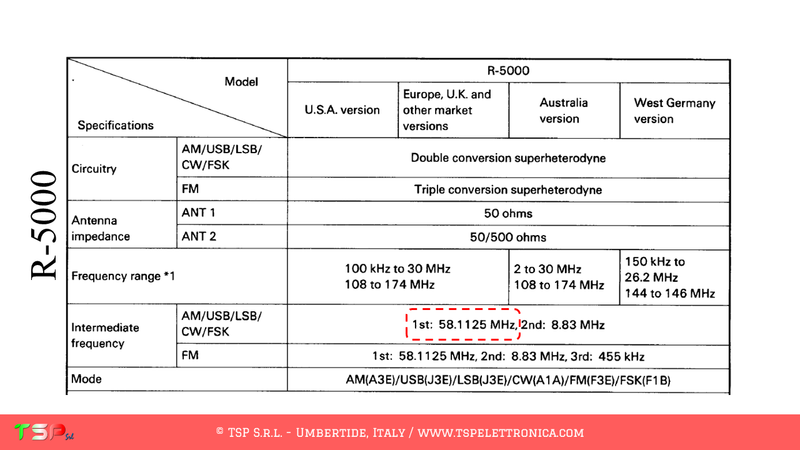 The FT-857D, as well as other radios, has a fairly complex configuration and uses different intermediate frequencies. We are interested in the first, the “wide band” one, the first one of the main band pass filter (the roofing filter so to speak). The one described here is therefore the sequence of operations to be performed to obtain a bandwidth sufficient to make a panoramic receiver around the selected IF frequency. 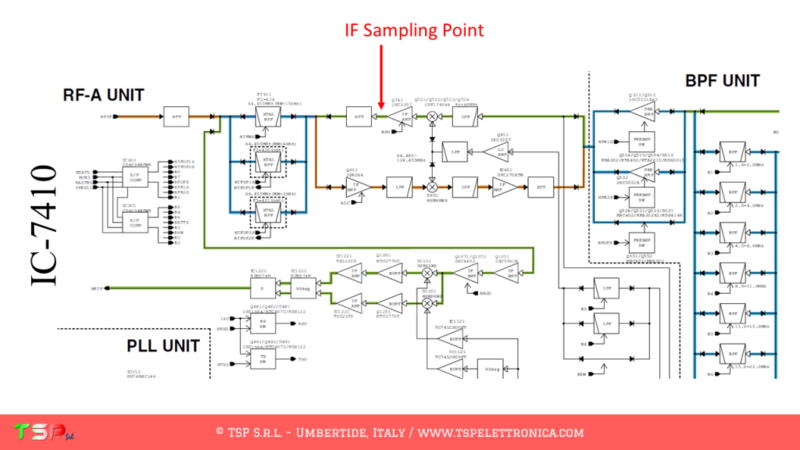 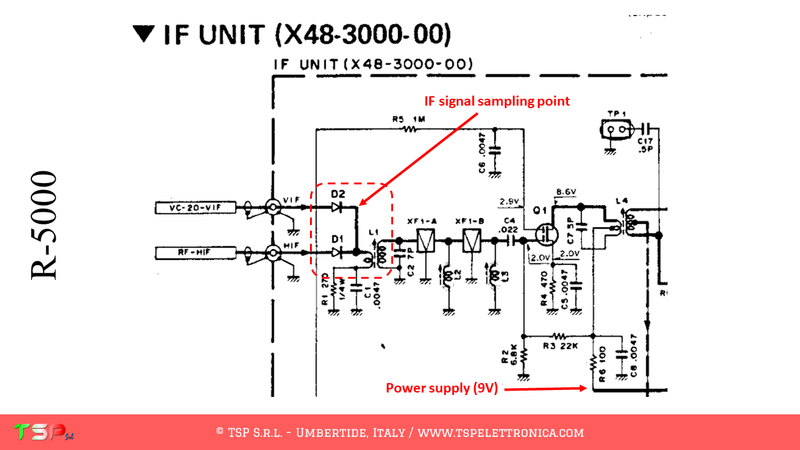 The following image shows the point where the IF signal will be taken. 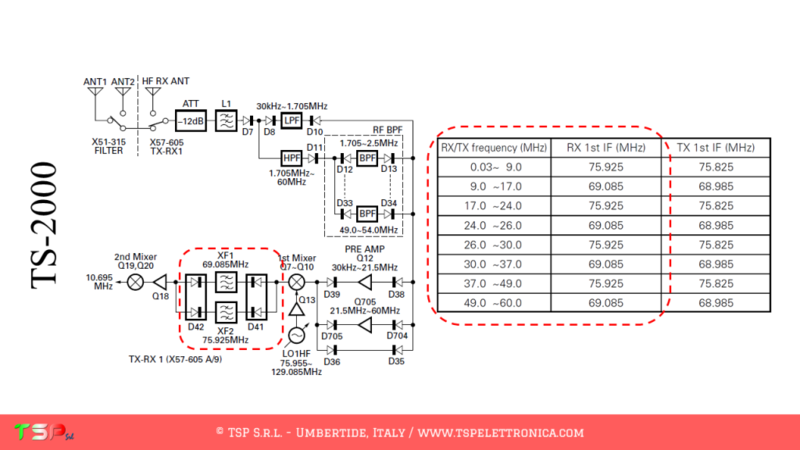 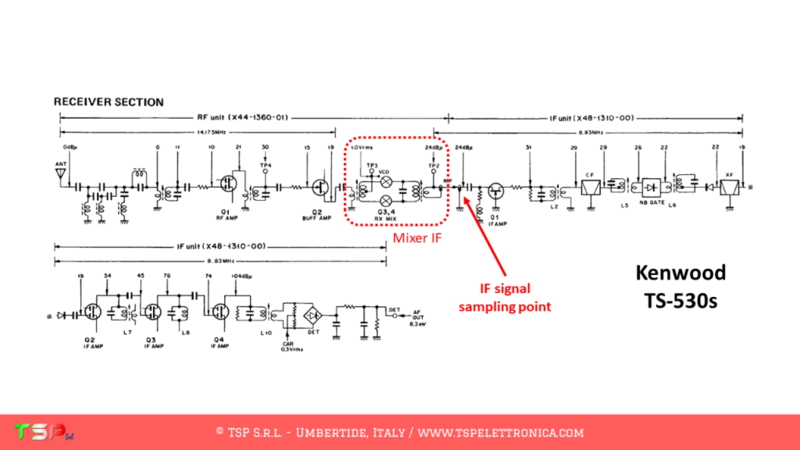 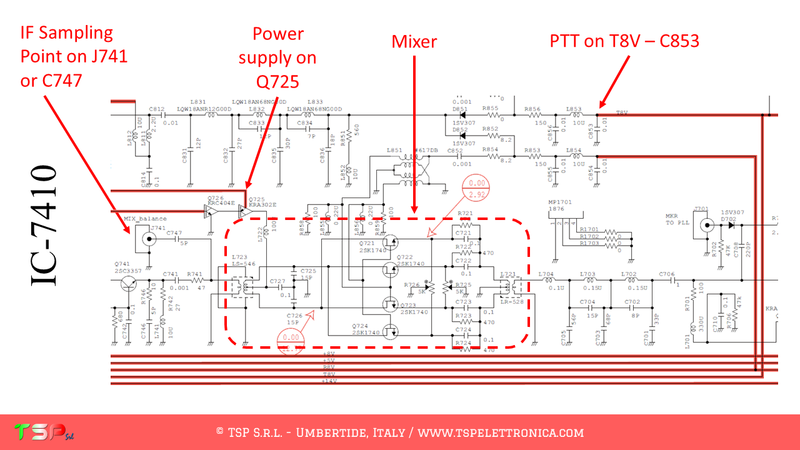 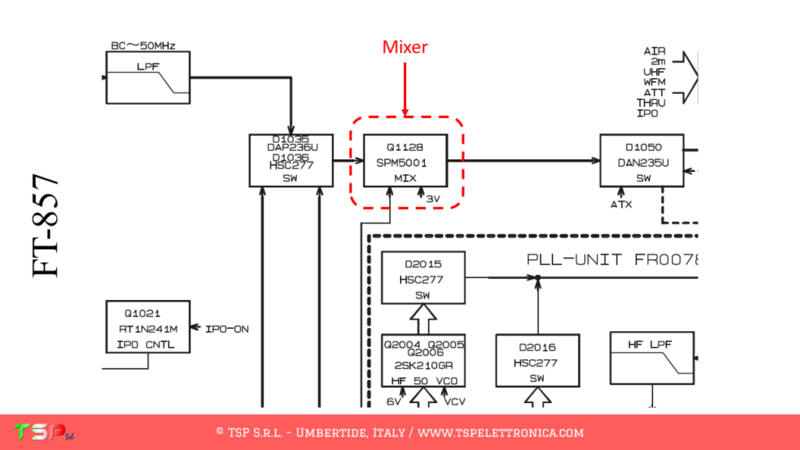 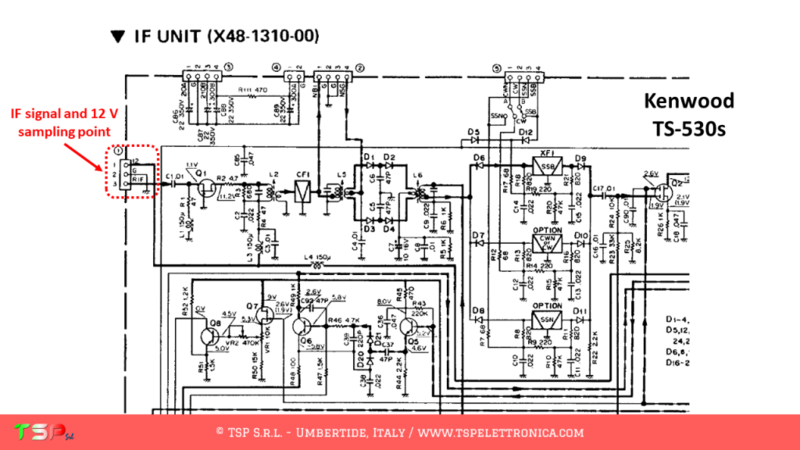 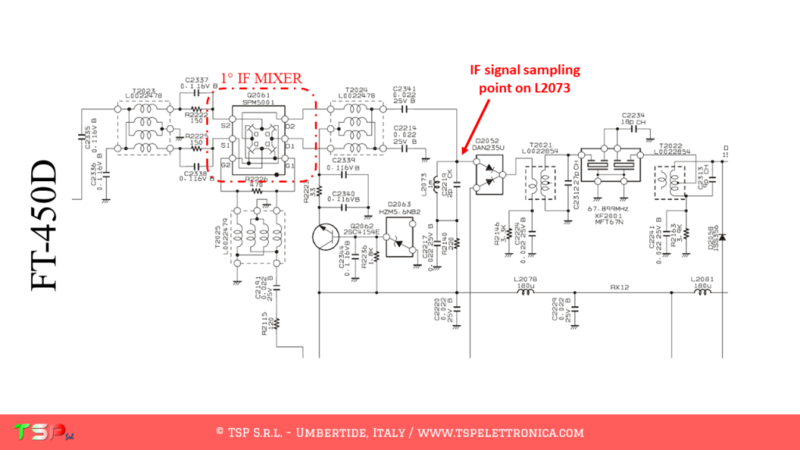 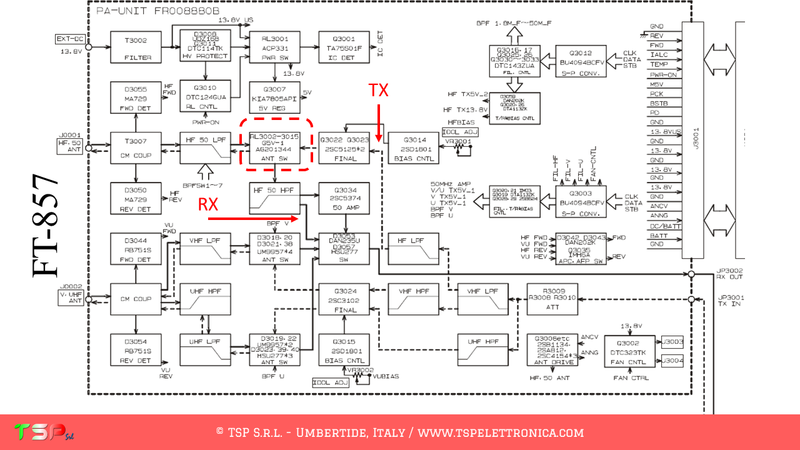 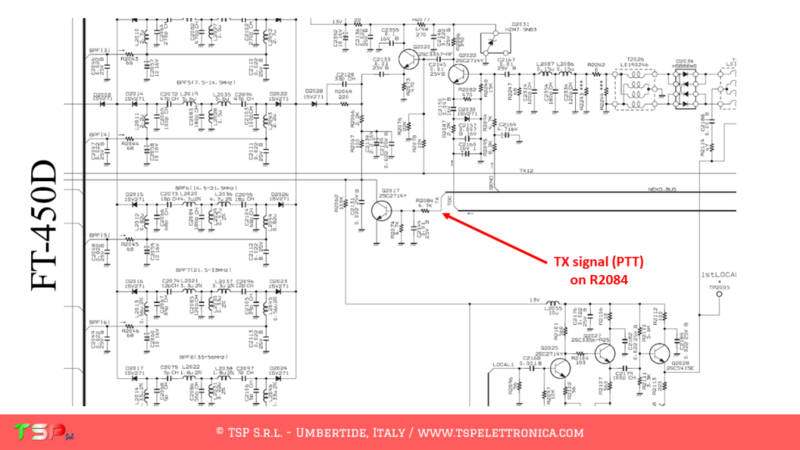 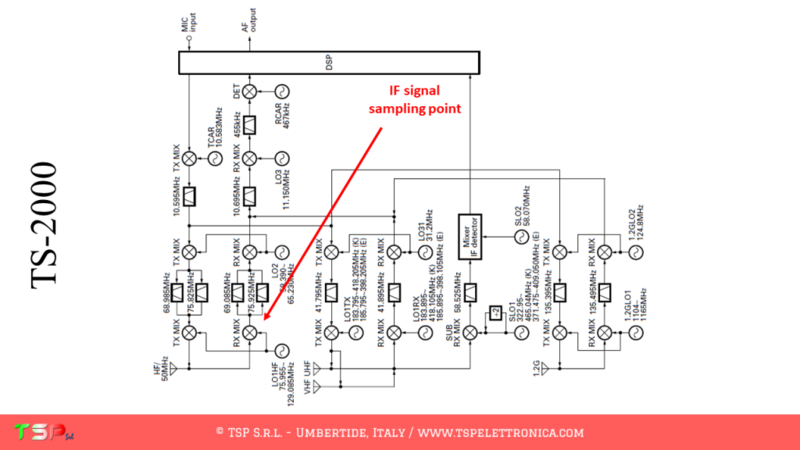 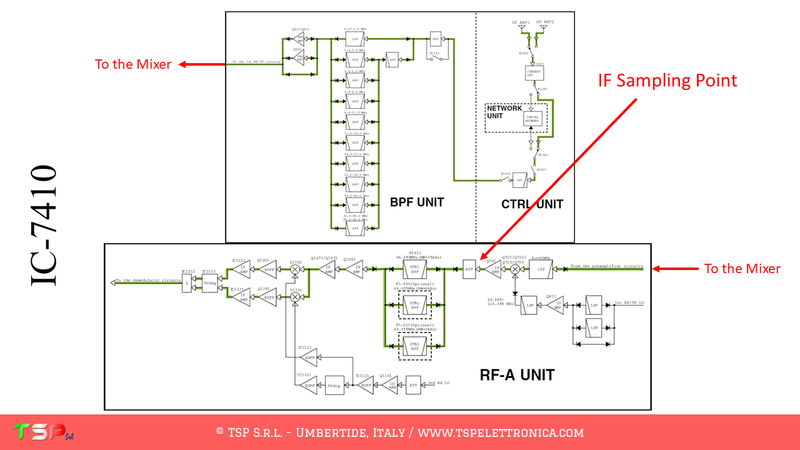 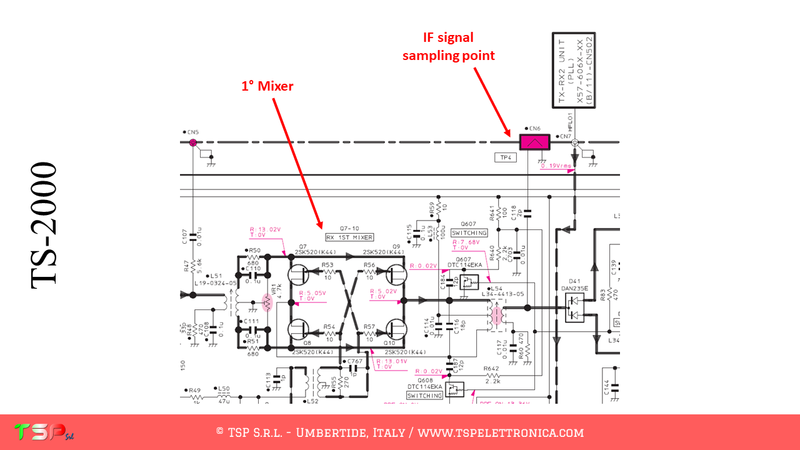 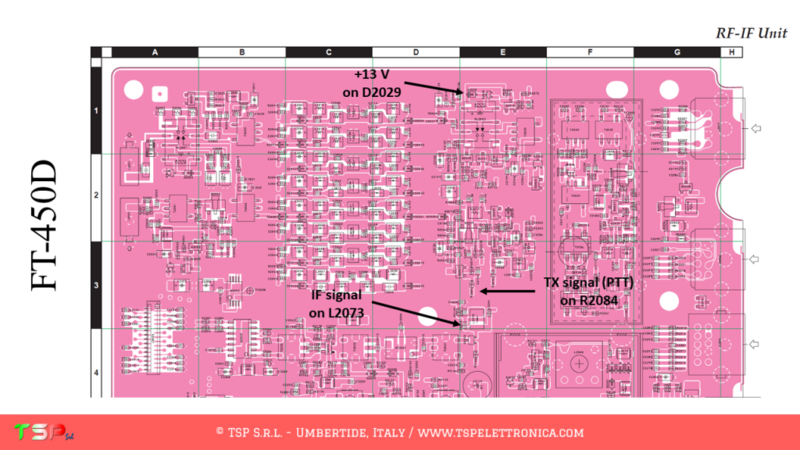 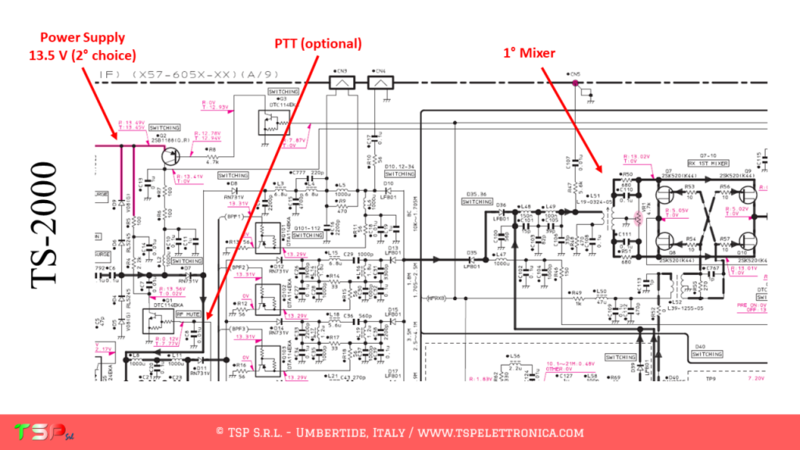 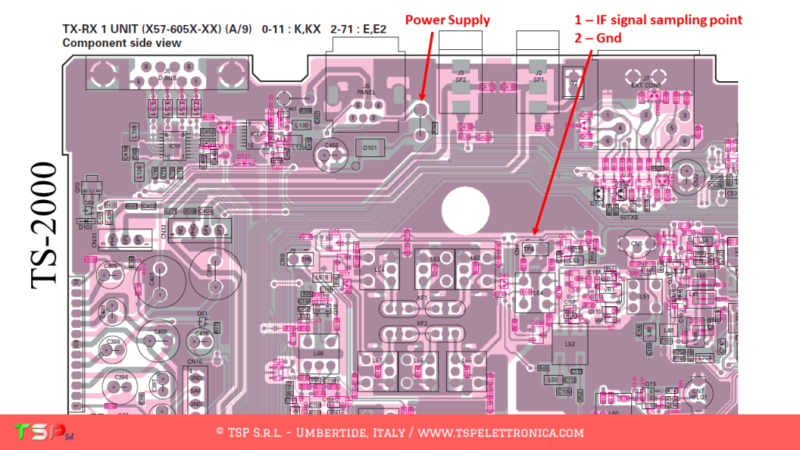 The PTT control is not required because different paths are used for the TX and the RX signals. Let’s start by analyzing the wiring diagram. 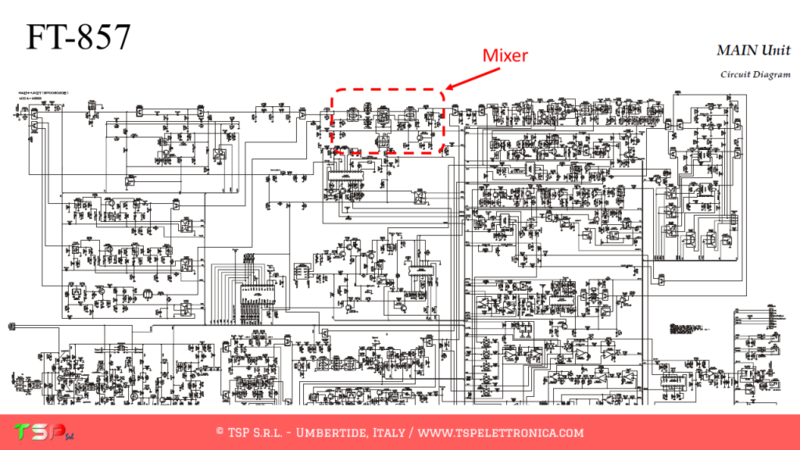 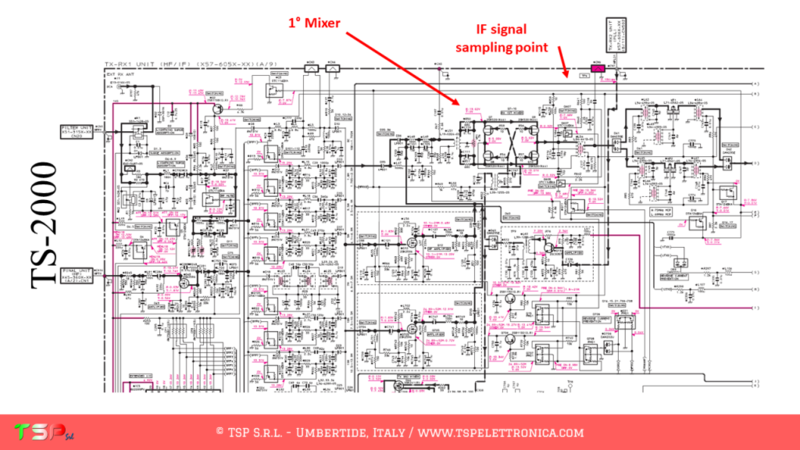 We have to find the first mixer and where to take the power supply. 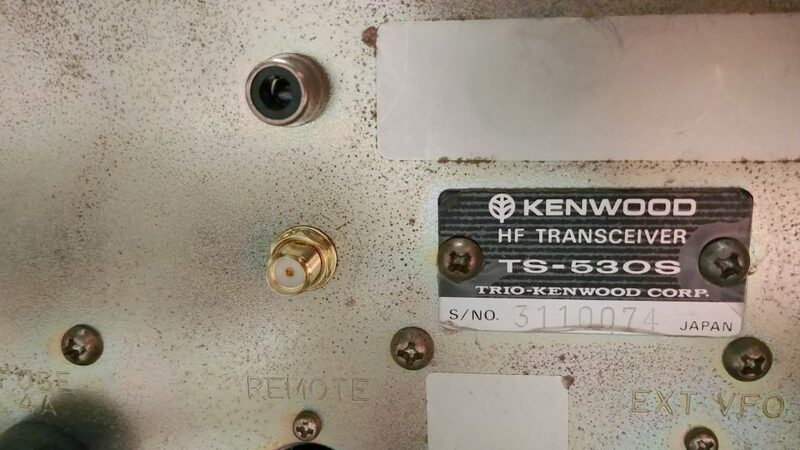 From the following images everything will appear clear. 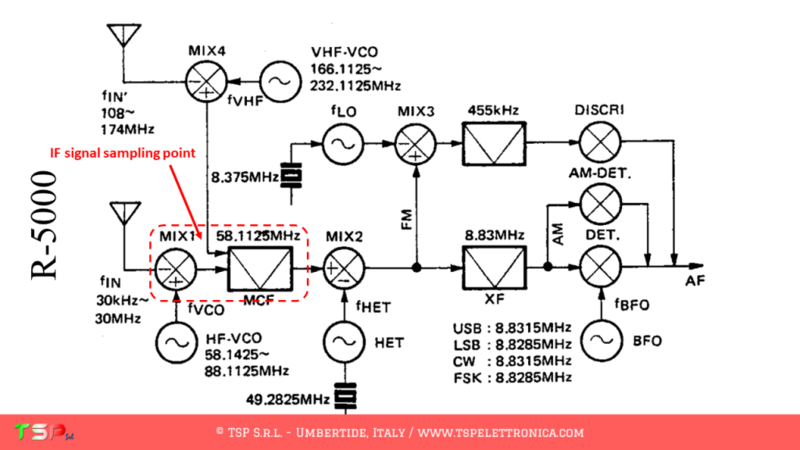 The output signal cable can simply through one of the ventilation holes as depicted here below. 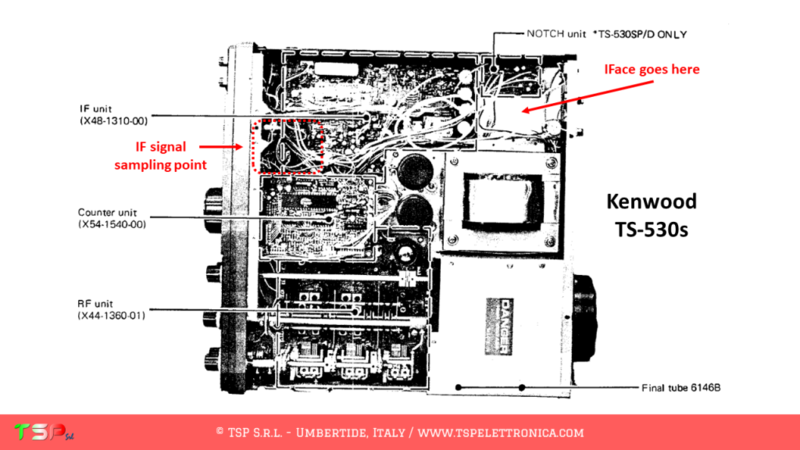 These are the instructions to install the IFace interface inside of the Icom IC-746PRO. 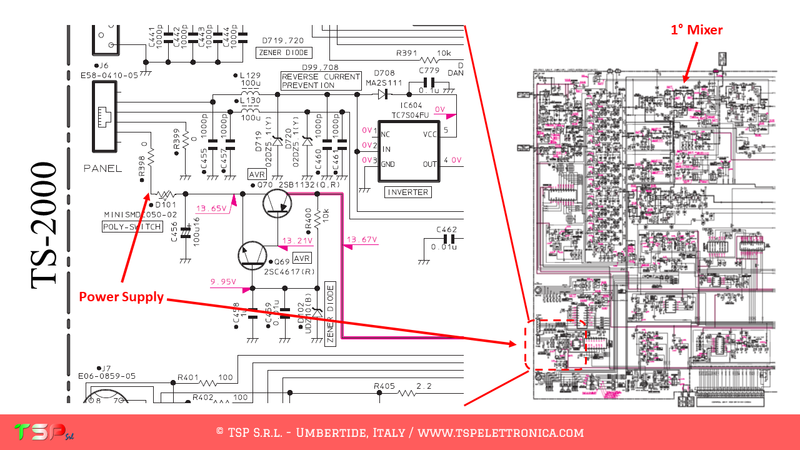 The installation is very easy. 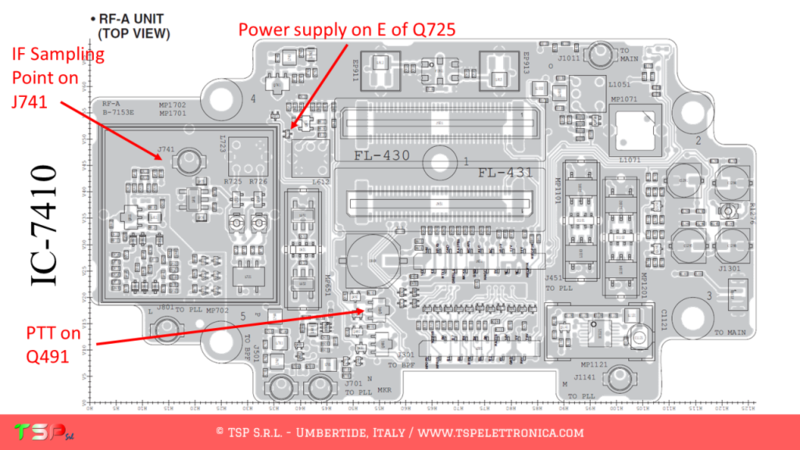 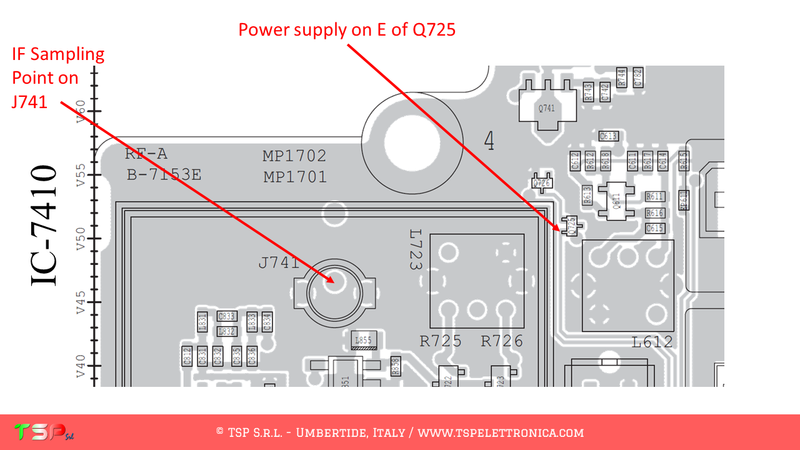 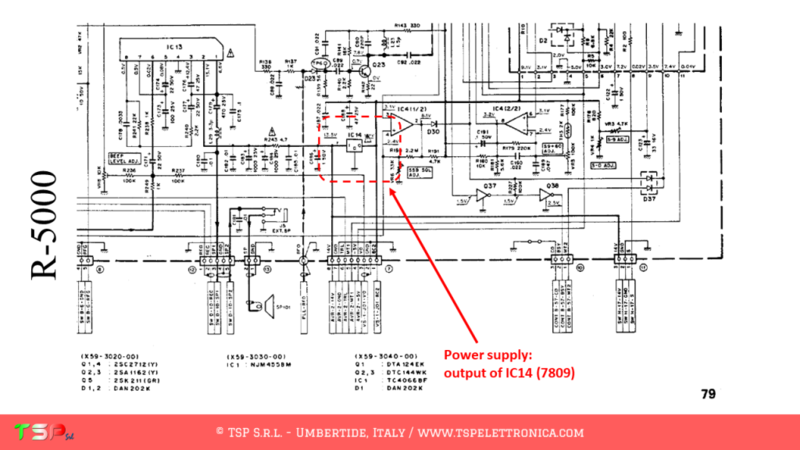 The IC-746PRO, as well as other radios, has a fairly complex configuration and uses different intermediate frequencies. 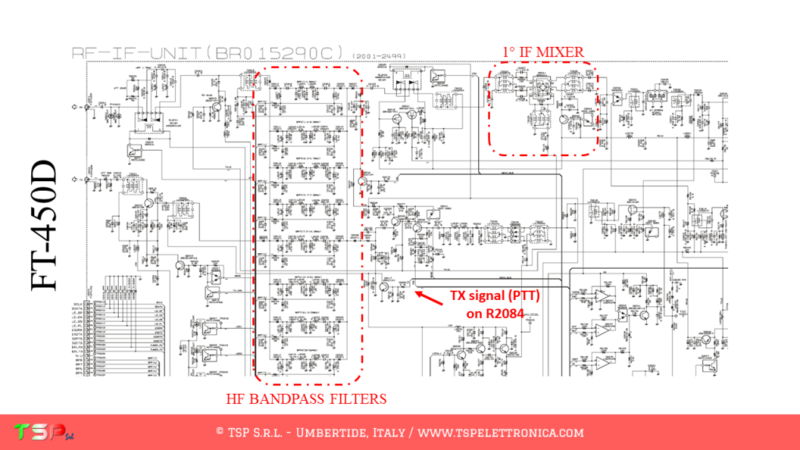 We are interested in the first, the “wide band” one, the first one of the main band pass filter (the roofing filter so to speak). 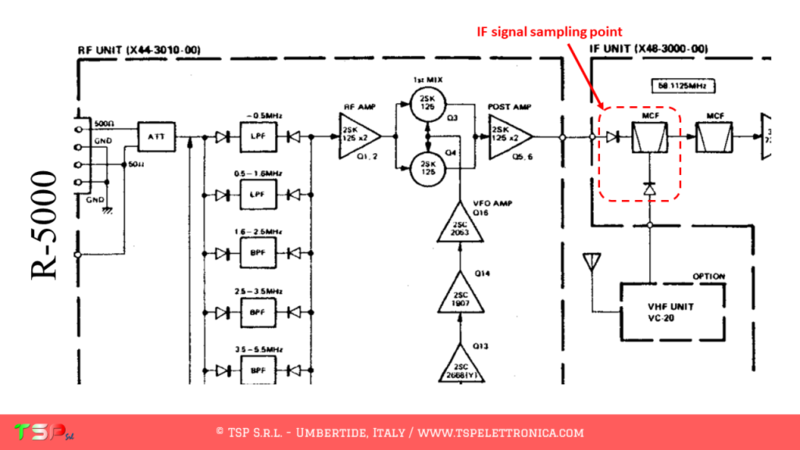 The one described here is therefore the sequence of operations to be performed to obtain a bandwidth sufficient to make a panoramic receiver around the selected IF frequency. 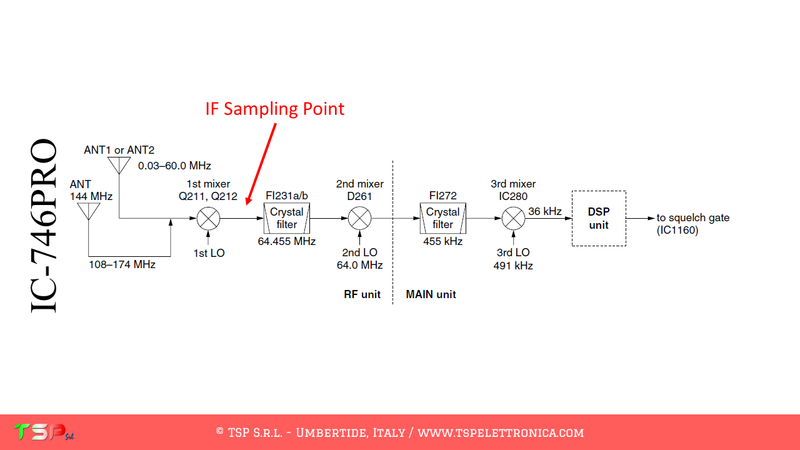 The following image shows the point where the IF signal will be taken. 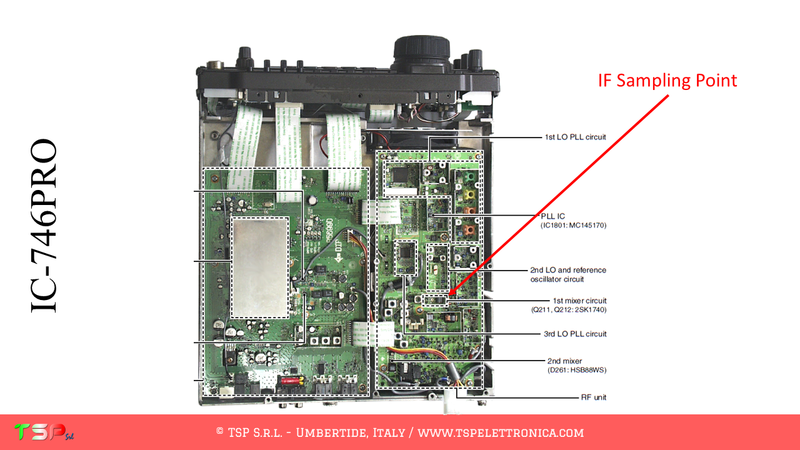 Below is shown the card affected by the mods. 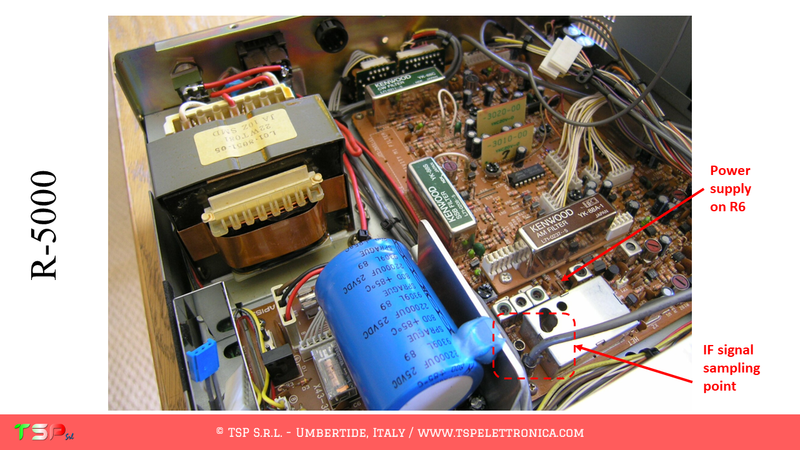 It will not be difficult to make the required small welds, space is not lacking. 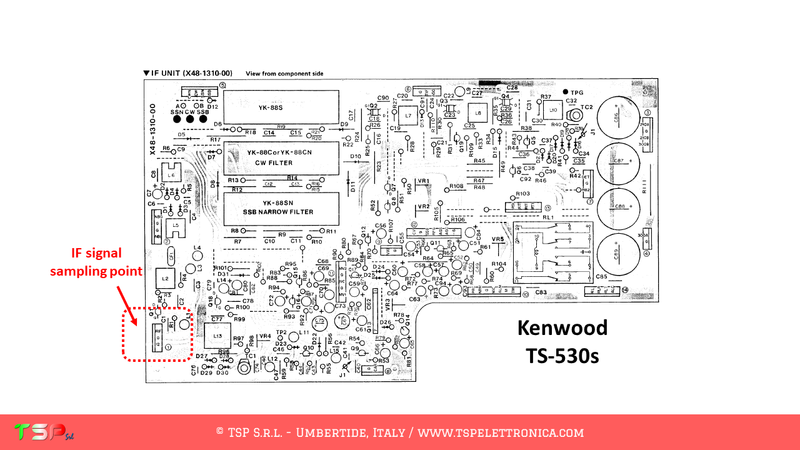 These are the instructions to install the IFace interface inside of the Kenwood TS-530s. 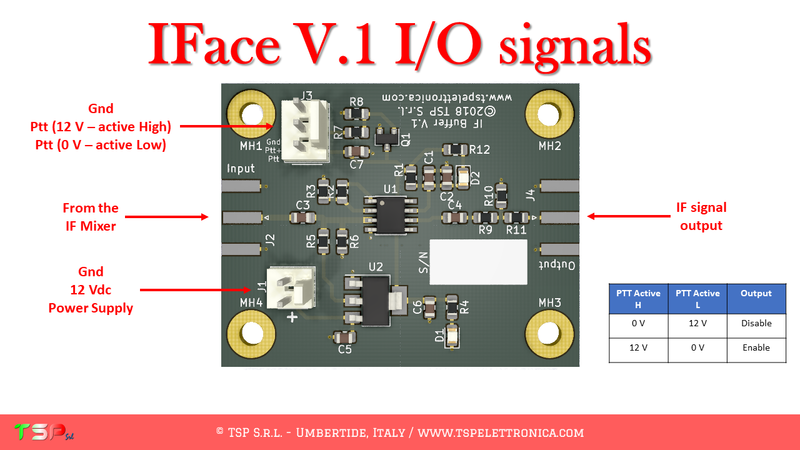 The installation is very easy. 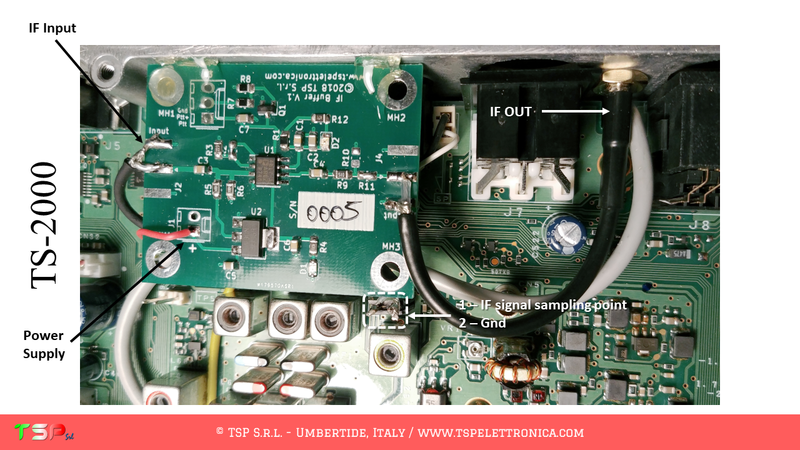 with simple double-sided adhesive tape. 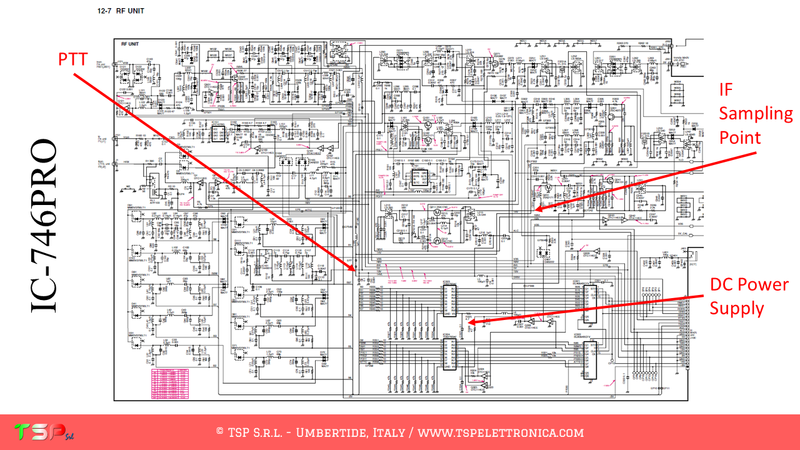 Refer to the following images of the wiring diagram to identify the points where you can weld the cables for the IF, power supply and PTT. 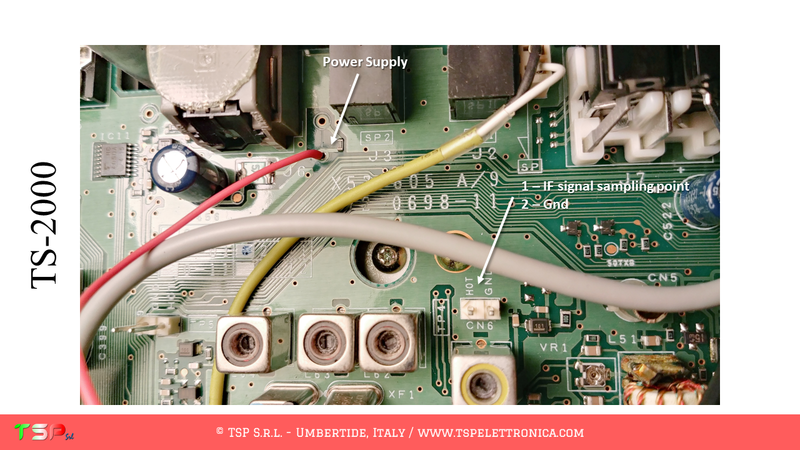 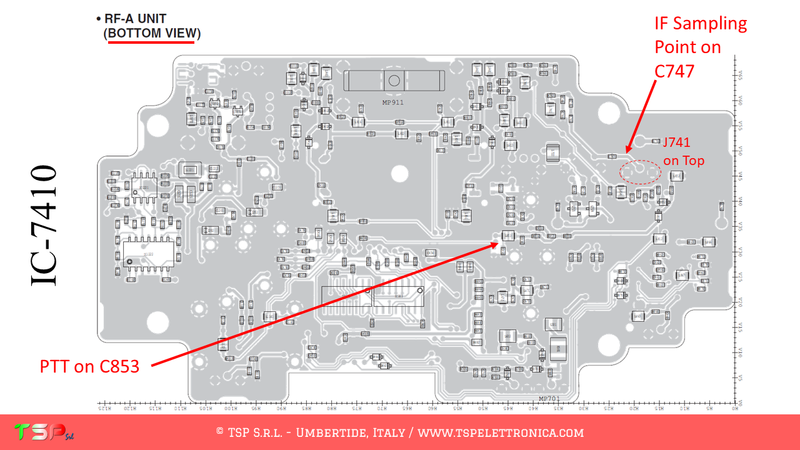 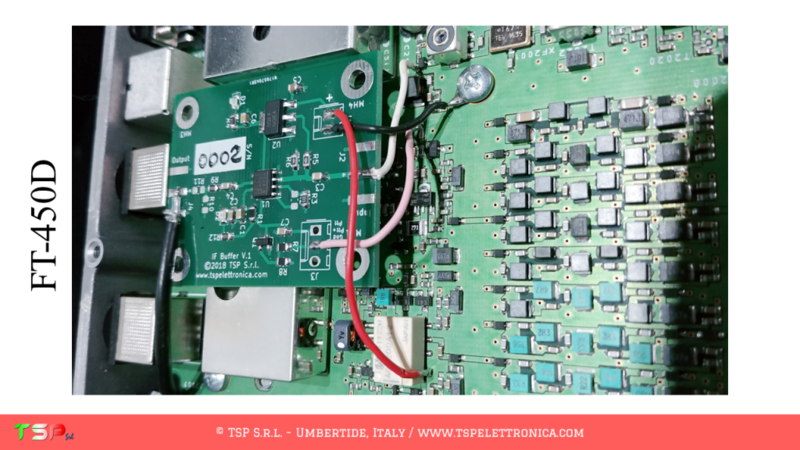 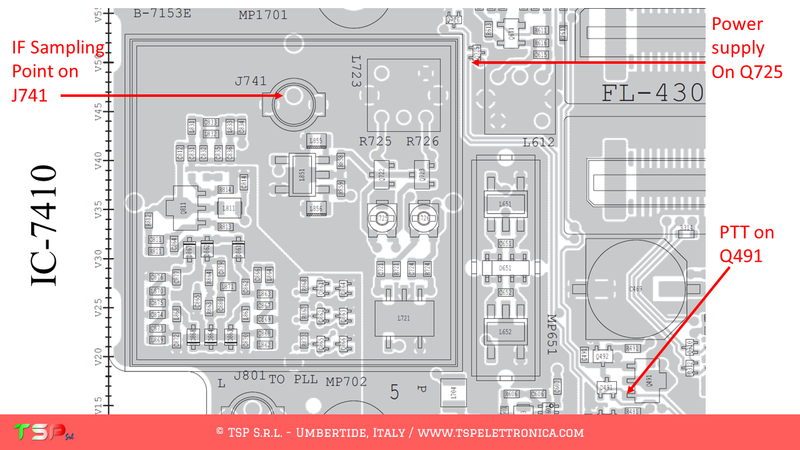 Refer to the following image to identify the points on the PCB where to weld the various connecting cables. 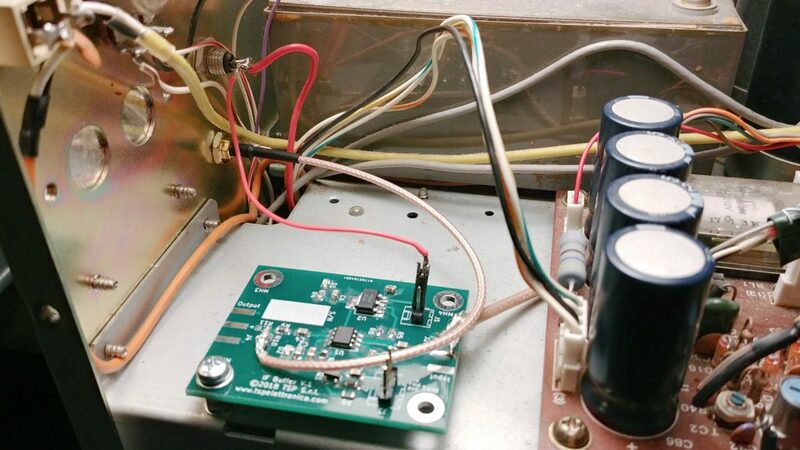 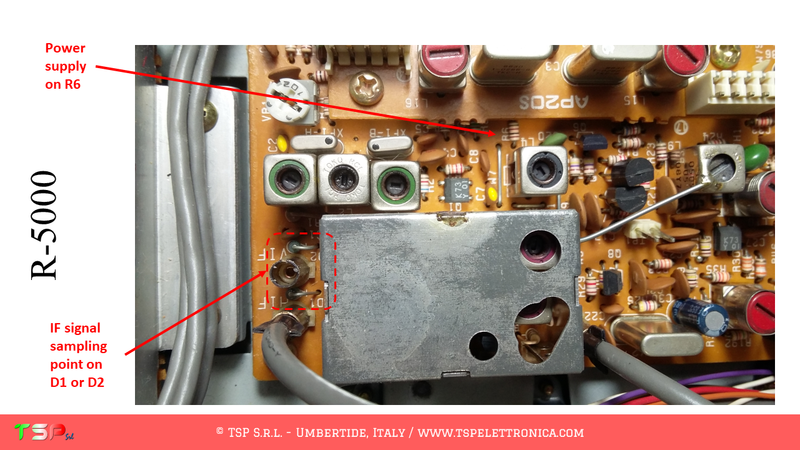 Finally connect the coaxial output cable of the IF signal and pass it through the ventilation holes of the radio as shown in the picture. 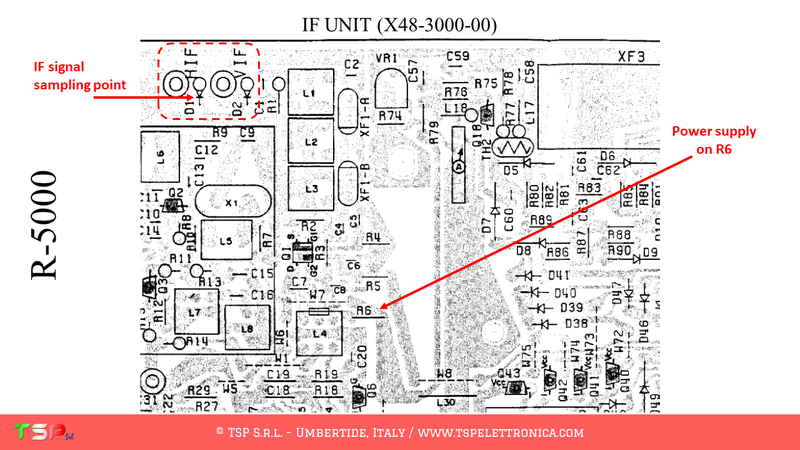 These are the instructions to install the IFace interface inside of the YAESU FT-450D. 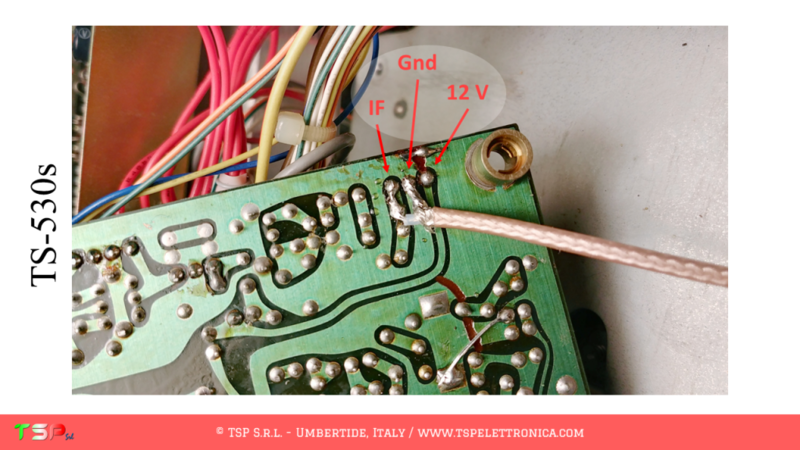 The installation is very easy.